Research Interests: Microbial genetics, metabolism, physiology, pathogenesis, microbial-host interactions and signal transduction. 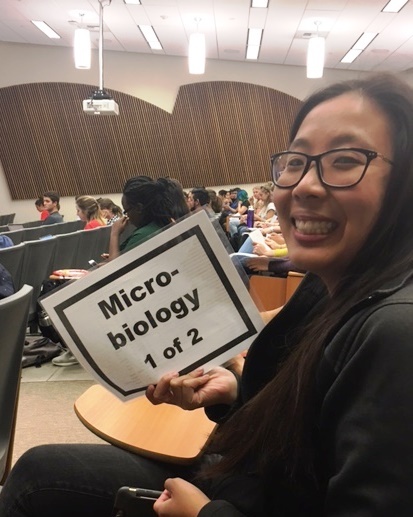 Research Interests: Microbial community dynamics in the mammalian GI tract; interactions between gut microbes and host immune system; gastrointestinal disease. Research Interests: The co-evolution and interaction between viruses with the immune system of viral hosts. 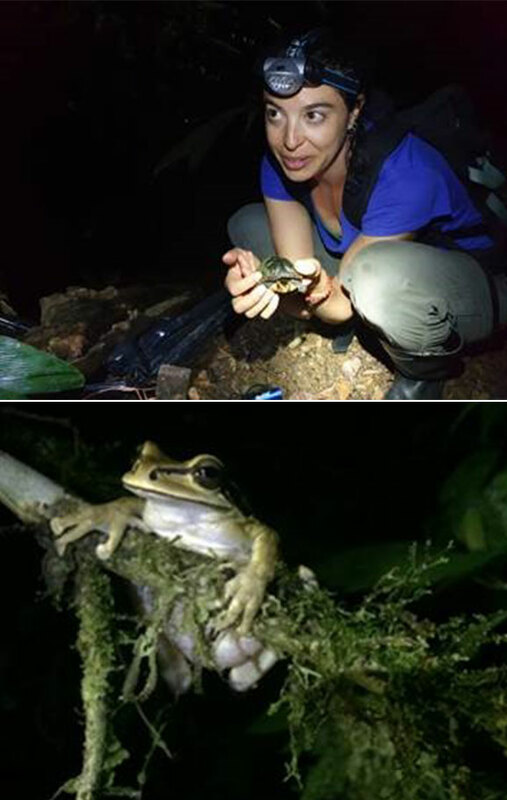 Collecting samples from frogs in Costa Rica (Spring 2019)- Marina dissertation work involves the study of Batrachochytrium dendrobatidis infection in amphibians. 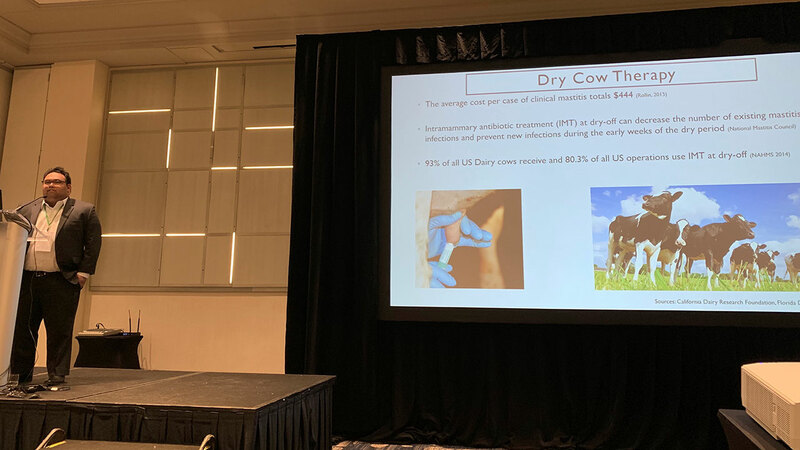 Carl Basbas presenting his research at the 99th Annual Conference of Research Workers in Animal& Diseases conference in Chicago (Nov 2018, photo provided by Carl). 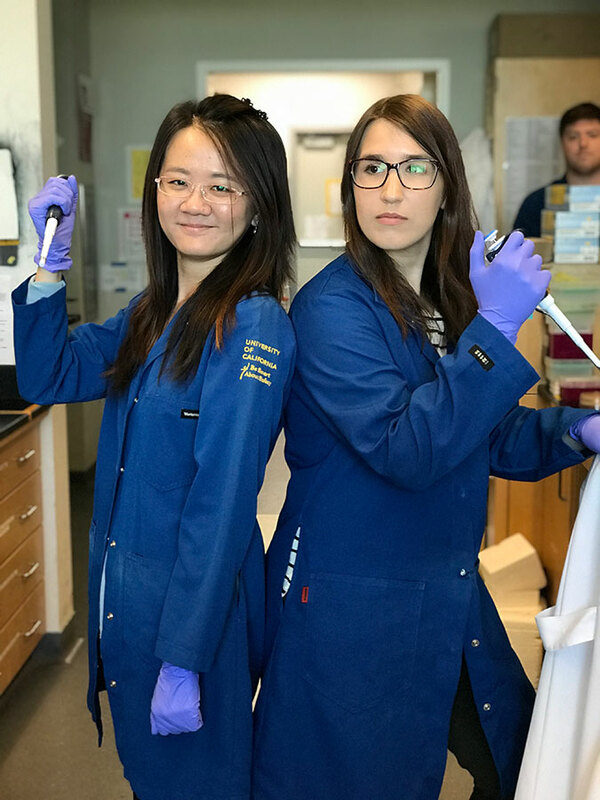 Having fun working in lab with April Tsai and Brittany Miller (Photo by Megan Liou). 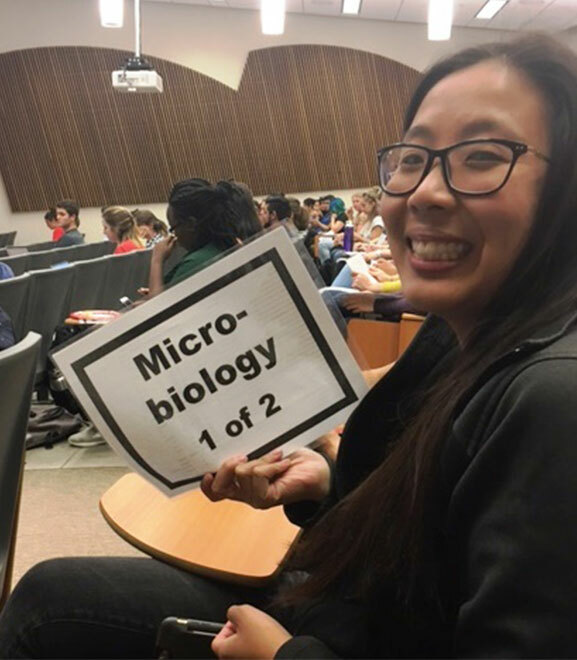 Our 2017 Graduate Student Association representatives, Allie Igwe and Annabelle Yu (above) attend quarterly GSA meetings, where they discuss and vote on graduate student issues (Photo by Allie Igwe). 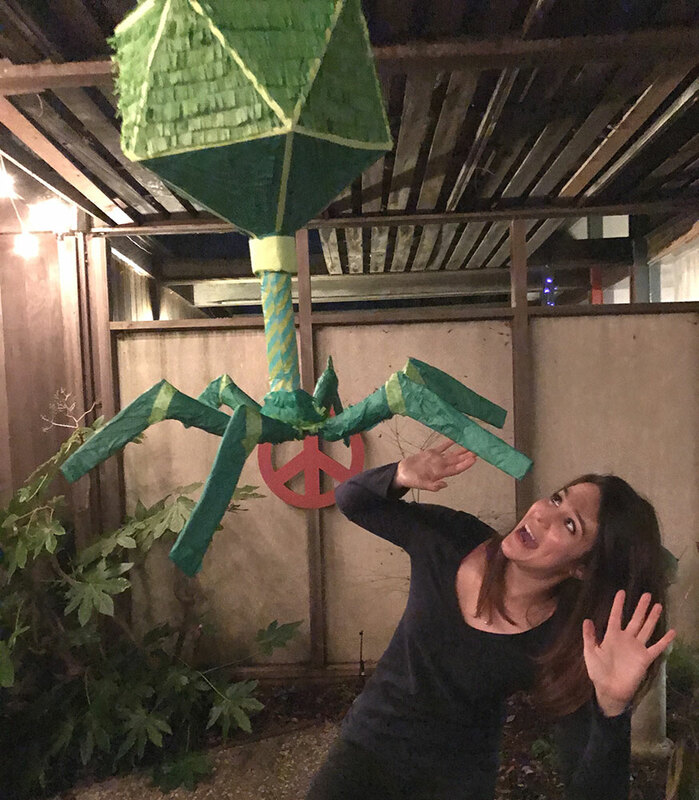 Student Sarah Guest made a piñata for our 2017 MGG Recruitment Event. 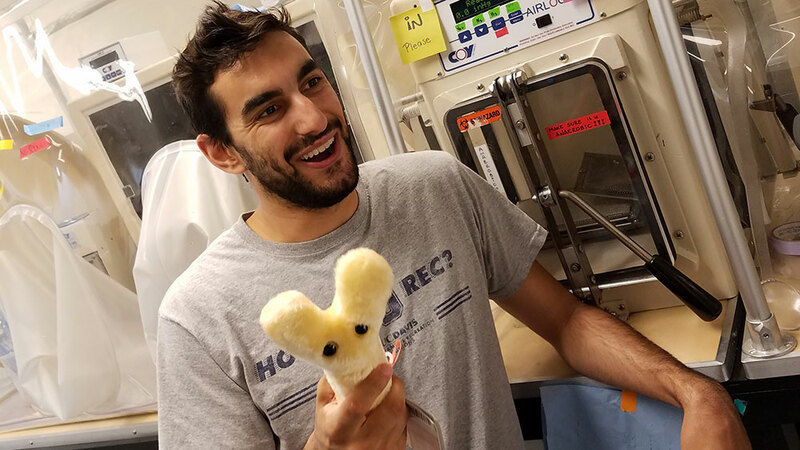 Chad Masarweh holding a bifidobacteria plush in front of our anaerobic chamber in the Mills Lab. 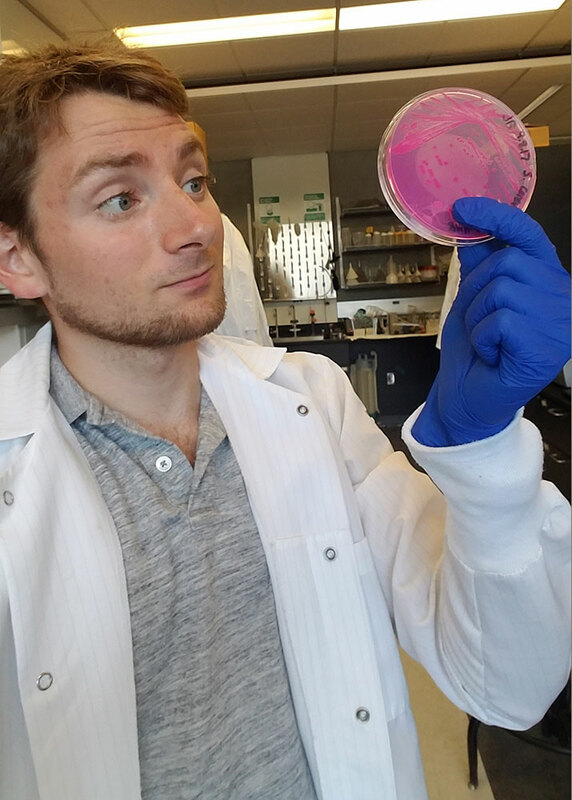 Eric Stevens from the Marco Lab looks at yeast colonies growing on pink RBCA plates.